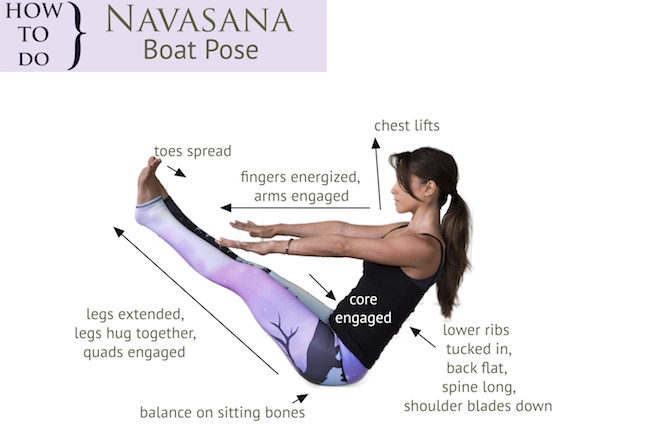 Tips for Boat Pose - Pin it! This is a current favorite pose, but it hasn't always been. It's uncomfortable at first, and pretty challenging, but with regular practice you'll quickly build up core strength, work the hip flexors, build mental focus and improve your balance - all reasons why I love this pose. I think the biggest challenge in this pose is finding your balance, followed by learning how to keep the low ribs tucked in and check lifted, since we're so used to slouching all the time. But keep at it because the benefits are worth it. *TIP- If straightening the legs just isn't happening for you at first, bend the knees at 90 degrees and work in the posture from there until you're able to straighten the legs. Hope this helps! Please let me know if there are specific poses you'd like to see broken down in my Tips For series. PS- Tips for extended side angle pose, and chaturanga. PPS- For those who asked, I'm wearing Northern Lights pants by Teeki. Review coming soon.